Stan Lee, the legendary writer, editor and publisher of Marvel Comics whose fantabulous but flawed creations made him a real-life superhero to comic book lovers everywhere, has died. He was 95. 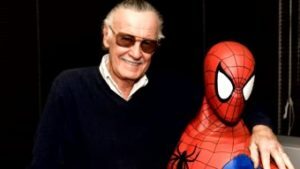 Lee, who began in the business in 1939 and created or co-created Black Panther, Spider-Man, the X-Men, the Mighty Thor, Iron Man, the Fantastic Four, the Incredible Hulk, Daredevil and Ant-Man, among countless other characters, died early Monday morning at Cedars-Sinai Medical Center in Los Angeles, a family representative told The Hollywood Reporter.